Weekly deals: Deals on GoPros, Instant Pots and more. Spring is in the air, and we are committed to finding great prices to help you save money and make the most of the season. From items fit for a day exploring in the sun to those that make life around the house easier and more entertaining, we've put together a list that's packed with variety and savings. Check out these great bargains, and get yours while supplies last. Don't let the action pass you by if you want to capture still images and video with gorgeous 4K quality. The GoPro Hero 6 Black offers numerous updates that make it easy to shoot like a pro, including improved stabilization and superb slo-mo capabilities. It can also capture 1080p 240 images with ease, and is waterproof to 33 ft. Reliable WiFi connectivity means you don't have to wait to share your photos and videos. You can get all of these features while saving 32% off the regular price because the GoPro Hero 6 Black is on sale for $270.99. Spring break, summer vacation, or a weekend get-away - regardless of the occasion or destination, you are going to need a reliable piece of luggage to get there with your belongings. We love the Samsonite Winfield 2 for its attractive, hardside construction and roomy interior. The TSA-compatible lock and smooth-spinning wheels are must-have features for air travel. In addition, the 10-year limited warranty and $101.63 sale price make it an unbeatable bargain. 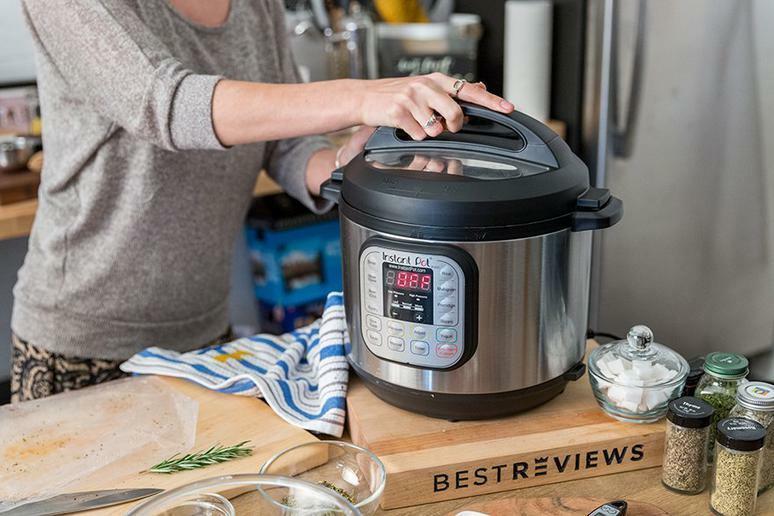 The Instant Pot DUO60 can steam, prepare rice, make yogurt, warm, saute, and double as a slow and pressure cooker. It has 14 smart programming options and a delay cooking function that puts you in control without spending a lot of time in the kitchen. The 6-quart capacity is spacious enough to make enough food for a group. Grab one and save almost $20 while it's on sale for $79.99. If you are ready for some smart entertainment, now is a great time to invest in the Fire TV Stick 4K and Echo Dot. This duo is currently available in a bundle package for just $79.98. For one low price you'll be able to stream with ease thanks to the Fire Stick's straightforward functions and enjoy superior sound with Echo Dot's powerful little speaker. Alexa voice control allows you to find your favorite programs, music, and more without lifting a finger. Sometimes good things come in smaller packages, like the Sceptre 40-inch flat screen TV that sports a trim, modern build. The smaller screen is perfect for tight spaces, bedrooms, and guestrooms, and the HD resolution delivers notable image quality. It also has ample ports for hooking up your favorite equipment, and mobile high definition link so you can stream from your smartphone or tablet. The current price is a mark down of 57%, so you can get yours today for only $158.88. Carpet takes a beating in the winter months, so spring cleaning isn't complete without a thorough scrubbing. The Hoover Power Scrub Deluxe Carpet Washer is on sale now for $129.99, which will save you $90. This lightweight yet powerful machine uses forced heated air to tackle stubborn stains, and comes equipped with numerous on-board tools for cleaning stairs, furniture, and more. California Design Den offers a collection of beautiful, quality sheets, so they made our list of our top five favorite brands. These soft cotton sheets are 400 thread count, and are made to hold up through wash after wash. They are available in twin through California king sizes and in numerous stylish prints. They also come at a budget-friendly prices, and many options are currently available at even lower discounted prices. Ready to give a fitness tracker a try but don't have a lot to spend? The Garmin vivofit 3 Activity Tracker is on sale for $57.39, and has a lot to offer for the low price. It's attractive, has a slim fit, and is waterproof. And if you don't like the idea of having to recharge a tracker, the vivofit operates with a replaceable cell battery that is likely to last up to year of continuous wear. As the weather warms up, it's a great time to take a hike. But you don't have to be bogged down with gear when you have a handy hiking backpack to stash it in. The Hikepro 20L is only $15.99, but offers numerous pockets and a roomy interior without being bulky or heavy. It also comes in several fun colors, one that's sure to match your hiking style. Planting season is almost here, and David's Garden Seeds Butterfly and Hummingbird Mix makes a great addition to any green space. The non-GMO seeds will sprout into a lovely array of blooms that are sure to bring bees, butterflies, and birds to your garden. These pack of 500 seeds is marked down just in time for spring - only $4.95.